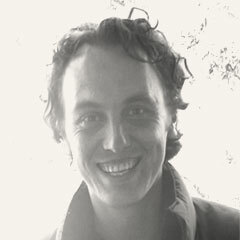 Matt Herring has 18 years experience as an ecologist. His consultancy (Murray Wildlife) is contracted by Landcare and other community conservation groups, as well as government and industry. Working on more than 900 farms in the Murray-Darling Basin, he’s become a strong advocate for working alongside farmers to unleash the conservation potential of private land. He is passionate about the ideal of producing food and conserving biodiversity at the same time. His projects increase the awareness of local wildlife diversity, empower rural communities with practical knowledge to make positive change, and distill conservation science into locally relevant on-ground actions. Working closely with more than 3000 farmers over an eight year period, he applied a community engagement and wildlife survey model across 3 million hectares in the Murray River region. He has produced a large amount of educational material, and has worked on a broad range of ecological research projects, such as wetland management for threatened waterbirds, environmental flow prioritisation, the role of mistletoe as a keystone resource, and the response of woodland birds to revegetation. After a seminal study on Brolgas, Matt graduated from Charles Sturt University with first class honours in 2001 and has developed a deep, burgeoning knowledge of biodiversity conservation in Australia, and beyond. 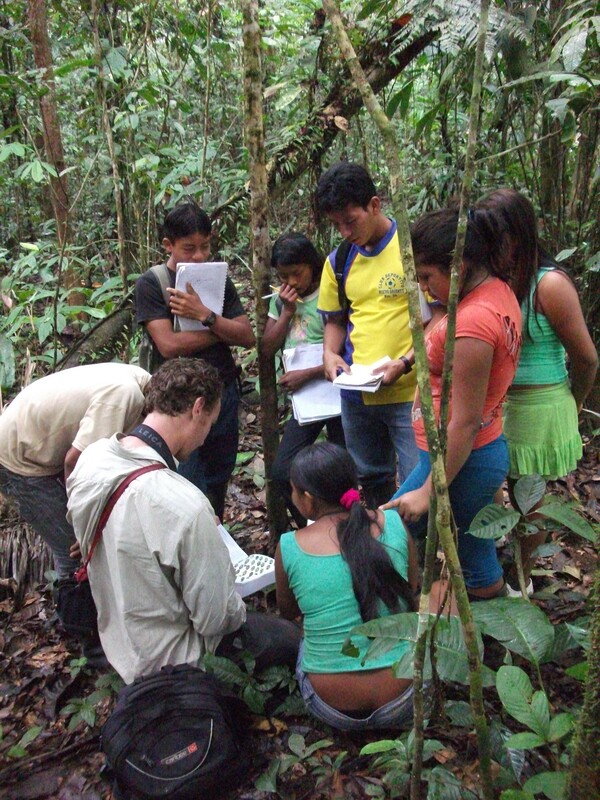 In 2010-2011, he helped establish a natural resource management school in the remote Ecuadorian Amazon with the Waorani people, and for four years worked closely with the Kimberley Land Council training Indigenous Rangers in biodiversity surveying and conservation. Matt has conducted more than 300 field days, seminars, forums, conference presentations and workshops pertaining to ecology, biodiversity and conservation, and has published more than 50 reports, booklets, papers and field guides. He has also reviewed papers and books for journals such as Ecological Management and Restoration and Australian Zoologist. Matt has valuable media experience; his work resulting in over 250 newspaper articles, 90 radio interviews and eight television appearances. After a 15 year hiatus from formal education, he began his PhD in 2016 at Charles Darwin University on the ecology and economics of bittern-friendly rice farming. 2012-ongoing Rice Growers’ Association of Australia & Birdlife Australia, Bitterns In Rice Project: Coordinating and developing a community engagement and research program throughout the Riverina rice-growing region, studying the endangered Australasian Bittern and other threatened species on over 200 rice farms to develop bittern-friendly guidelines for rice growers. 2011-2016 Murrumbidgee and Hay Landcare Farm Dam Wildlife Habitat Mitigation: Biodiversity documentation study of farm dams across Wah Wah Stock and Domestic channel network prior to infrastructure upgrade by pipeline. Habitat mitigation options trialled through extensive community engagement and demonstration sites. Production of two booklets. 2010-2014 Kimberley Land Council Indigenous Ranger Biodiversity Training Program: Training the Bardi-Jawi, Wunggurr, Paruku, Nyul Nyul, Karajarri, Ngurrara, Nyikina, Balangarra and Gooniyandi Ranger Groups in biodiversity monitoring, fauna identification, and regional conservation issues, such as fire regimes and feral animals. Production of nine booklets, summarising the results. 2009-2011 Waorani Bi-cultural Education Project, Ecuadorian Amazon: Establishing a secondary natural resource management and ecotourism school in the remote Waorani community of Keweriono. Developing sustainable development initiatives, ranging from family planning to strategic harvesting rates for key bushmeat species. 2009-2010 Cadell Wetland Mapping Project – Murray Irrigation Limited, Cadell Land & Water Management Plan (LWMP) & NSW Murray Wetlands Working Group (MWWG): Developing a wetland flooding strategy to prioritise the future delivery of environmental water across the Cadell LWMP area. Vegetation and wetland condition assessments coordinated at 443 wetland sites across 200 farms. 2008-2010 Jimaringle & Cockran Creek Wildlife Survey – Wakool LWMP, Murray Irrigation Limited: Identification of biodiversity hotspots and environmental flow priorities to guide future restoration works. Terrestrial vertebrate sampling at 30 sites encompassing entire system. Field days, seminars and booklet launch to engage community and promote conservation. 2008-2009 Upper Murray Wildlife Survey – Victorian Upper Murray Landcare Network, North-East CMA & Department of Sustainability and Environment: Terrestrial vertebrate surveys across 30 sites. 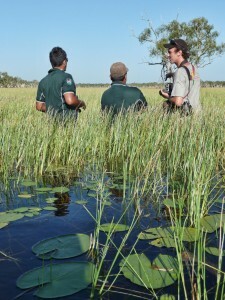 Field days, seminars and community Platypus Survey to engage community. Wildlife Booklet in prep. 2008 Tuppal Creek Wildlife Survey – Murray CMA: Identification of biodiversity hotspots and environmental flow priorities at 30 sites encompassing entire Tuppal Creek system, through terrestrial vertebrate surveys. 2005-2006 Murray LWMP Wildlife Survey – Murray Irrigation Limited, Murray Wildlife: Landmark wildlife distribution, habitat and local status investigation, and extensive community engagement project throughout MIL’s 1 million hectare area of operation. Six bird surveys at each of 150 study sites (with full fauna surveys at 50) incorporating 106 farms across Berriquin, Cadell, Denimein and Wakool LWMP areas. 28 field days, seminars and booklet launches attended by 1660 people. Production of five booklets and a reptile identification poster. 2003-2007 Resources In Fragmented Landscapes Experiment – Institute for Land, Water & Society, Charles Sturt University: Established Rifle study with Professor David Watson. Intensive bird, mammal, reptile and vegetation surveys at 40 small woodland fragments in the Upper Billabong Ck. Catchment with mistletoe as first focal resource. Roles included site establishment, surveying, liaising with landholders, community field days, coordinating 4 full-time field staff during mistletoe removal phase, and supporting honours and PhD students. 2003-2005 Threatened Species and Farming – Ecologically Sustainable Agriculture Initiative – Arthur Rylah Institute for Environmental Research, DSE: Waterbird, frog and vegetation surveys at 16 wetlands in Yarrawonga – Tungamah – Katamatite region, looking at the effect of different grazing and water regimes on breeding habitat availability, particularly for Brolgas and other threatened species. 4 seminars and 3 field days. 2003-2004 Murrakool Wildlife Benchmarking Survey – Murrakool Inc., Murray Wildlife: Three bird surveys at each of 45 sites (with full fauna surveys at 14). Community Engagement included 7 seminars and 2 wildlife tours. Production of “Murrakool Wildlife – magnificanet diversity, precarious future”. 2002 Biodiversity in Eucalypt plantings – NSW Department of Primary Industries (Forests): Full fauna surveys at 120 revegetation/remnant patches, establishing the sites and coordinating team of seven researchers for two months, as well as conducting most of the surveying. 2001-2002 Heartlands Eastern Billabong Ck. Wildlife Benchmarking Survey – CSIRO & the Eastern Billabong Landcare Groups: Three bird surveys at each of 78 sites (with full fauna surveys at 30). Extensive community engagement with 21 seminars/field days and production of local wildlife booklet. 2001-2002 Watering Private Property Wetlands – Murray Irrigation Limited, Murray Wetlands Working Group: Monitoring bird/frog response to the inaugural environmental flows as part of the “Watering Private Property Wetlands” (11 wetlands in 2001/02 in Murray LWMP area). 2000 Barking Owl Surveys – NSW NPWS: Nocturnal bird surveys (targeting Barking Owls) at 114 sites across NSW Murray Catchment. 1999-2000 Brolga conservation in NSW and Victoria – Charles Sturt University: Waterbird and vegetation surveys at 94 wetlands throughout the NSW and Victorian Riverina for postgraduate Brolga research program, which resulted in over 40 seminars to various groups, mainly 1-hour slide shows to landholders. 1997-2001 Fauna in Plantation Matrix – Johnstone Centre, Charles Sturt University, Norske Skog: Full fauna surveys at18 sites within pine/revegetation/remnant/farmland matrix. Other experience has included seminars, field days and production of a 100-page Wildlife Identification guide for the Greta Valley Landcare Group; Assessment of properties for their biodiversity value as part of the covenanting and sale process of the NSW Nature Conservation Trust; developing Brolga and Bush Stone-Curlew habitat benchmarks and completing site inspections for NestEgg – a market-based incentive scheme trialled through the Murray CMA; a series of 9 biodiversity workshops for Rice growers across Murray & Murrumbidgee Catchments; Fauna survey of Nyah-Vinifera State Forests for prioritising local conservation actions; Bird surveys for ANU Restoration study in NSW SW Slopes with David Lindenmeyer; Designing woodland bird monitoring study for Murray CMA; Surveys pertaining to housing development applications in Albury region; bird/mistletoe interactions at Sturt NP; Painted Honeyeater ecology at Binya SF; Sarus Crane/Brolga recruitment in north QLD, Seabird monitoring on the far NSW south coast; Monitoring the social dynamics of White-browed Babblers, Chiltern-Mt. 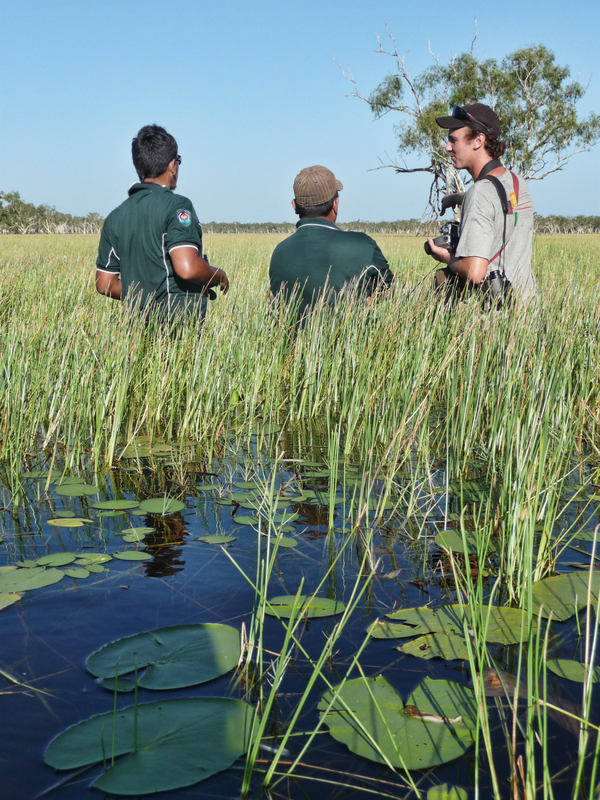 Pilot NP; Intensive bird surveying in the Riverina for the Australian Painted Snipe Working Group; and shorebird monitoring at Roebuck Bay, Broome. Herring, M. W. (2018) Community engagement and human wellbeing are central to effective wetland conservation. Invited Keynote. Biennial National Wetland Restoration Symposium. Napier, New Zealand. Herring, M. W., Bull, N., Garnett, S., Silcocks, A. & Zander, K. (2017) Depolarising water resource management: bittern-friendly rice growing. 6th International Temperate Rice Conference, Griffith. Herring, M. W., Zander, K. & Garnett, S. (2017) Double-dipping: integrated water management for bittern friendly rice growing. Australian Agricultural and Resource Economics Society Conference, Brisbane. Herring, M. W. (2016) Farmers and their farms: central to achieve SDG 15. United Nations Sustainable Development Goals Australia Conference. University of Sydney. Herring, M. W., Zander, K. & Garnett, S. (2016) Rice fields support the largest known breeding population of the endangered Australasian Bittern. Waterbird Society Conference, New Bern, North Carolina. Herring, M. W., Bull, N., Robb, M., Robinson, W. & Silcocks, A. (2015) Co-management of water for rice production and wetland biodiversity in Australia. Global Food Security Conference, Cornell University, New York, U.S.A. Herring, M. (2014) Waterbird Conservation: the great opportunity on farms. North-Central Catchment Management Authority 3rd Annual Water Science Forum: a focus on waterbirds. Koondrook, Victoria. Herring, M. (2012) Agriculture and Biodiversity: Opportunities for a Better Marriage. Rice Growers Association Annual Conference, One Tree, NSW. Herring, M. (2012) Wah Wah Wildlife: From Tanks to Troughs. Murrumbidgee Landcare Forum, Hay NSW. Herring, M. (2011) Burning Indigenous Issues in the Kimberley and Amazon. North East Catchment Management Authority Indigenous Community Meeting, Wodonga, Victoria. Herring, M. (2011) Winton Wetlands and Beyond: crafting our future bond. Winton Wetlands Management Committee Community Meeting, North-east Victoria. Herring, M. (2010) Realising the biodiversity potential of farm dams. Strathbogie Ranges Conservation Management Network, Longwood East. Herring, M. & McGregor, H. (2008) Making the most of our Canegrass Wetlands for biodiversity and production: flooding, grazing and fire regimes. Greening Australia Vegetation Futures Conference, Brisbane. Herring, M. (2008) Habitat restoration to reverse decline in woodland birds. Birds Australia Conservation Forum, Sydney. Herring, M. (2007) Redesigning Rural Landscapes in Australia: Merging Agriculture & Biodiversity. Invited Keynote Address. Riverina Science Teachers Conference, Yanco. Herring, M. & Watson, D. (2006) The influence of sample completeness on ecological inference: Insights from the RIFLE (Resources In Fragmented Landscapes Experiment) study. North American Ornithological Conference, Vera Cruz, Mexico. Herring, M. (2006) Wetland Management for Waterbirds: the vegetation cover balancing act. Greening Australia Vegetation Futures Conference, Albury. Herring, M. & Watson, D. (2005) Resource-based determinants of diversity in a fragmented landscape: insights from the RIFLE study. Ecological Society of Australia Conference, Griffith University, Brisbane. Herring, M. W. & Watson, D. W (2004) Of mice and logs: distribution and conservation of the Yellow-footed and Agile Antechinus in an agricultural landscape. Ecological Society of Australia Conference, University of Adelaide, Adelaide. Watson, D. M. & Herring, M. W (2004) An alternative way to study fragmentation: a resource removal experiment at the landscape scale. Ecological Society of Australia conference, University of Adelaide, Adelaide. Herring, M. W (2003) Conservation of Brolgas and their wetland habitats in southern New South Wales and northern Victoria. Biodiversity in the Basin Conference, Charles Sturt University, Albury. Herring, M. W (2003) Benchmarking bird diversity and engaging the local community: bridging the gap between research and conservation. Australasian Ornithological Conference, Australian National University, Canberra. Herring, M. W, Klomp, N. I. & Lunt, I (2001) The Brolga in southern New South Wales and northern Victoria: distribution, breeding habitat and potential role as an umbrella species. Australasian Ornithological Conference, Charles Sturt University, Bathurst. Herring, M. W., et al. (In prep.) Rice fields support the largest known breeding population of an endangered waterbird. Herring, M., Veltheim, I. & Silcocks, A. (2016) Robbie’s gone a roaming. Australian Birdlife 5 (3): 26-31. Herring, M., Bull, N. Silcocks, A. Robb, M. Robinson, W. & Veltheim, I (2015) Bitterns and rice: still on the conservation menu. Wetlands Australia 27: 6-8. Herring, M. W. and Silcocks, A (2014) The use of rice fields by the endangered Australian Painted Snipe (Rostratula australis): a rare opportunity to combine food production and conservation? Stilt 66: 20-29. Herring, M. Bull, N. Silcocks, A. & Robb, M (2014) Bitterns in Rice. Australian Birdlife 3 (3): 34-37. Herring, M. W. Bull, N. and Silcocks, A (2014) Bitterns in Rice: a pilot study of the endangered Australasian Bittern (Botaurus poiciloptilus) and its use of rice crops. Publication No. 14/007. Rural Industries Research and Develeopment Corporation, Australian Government, Canberra. Michael, D. & Herring, M (2013) Unexpected records of the pink-tailed worm lizard Aprasia parapulchella (Pygopodidae) in chenopod scrubland, Hay region, NSW. Herpetofauna 43: 14-17. Herring, M (2013) Wah Wah Water for Wildlife, how to make biodiversity the winner in times of change – a practical guide for landholders. Murrumbidgee Landcare and Murray Wildlife. Herring, M. Benjamin, M. & Beattie, K (2013) A Win-Win for Wildlife and Water. National Wetlands Update July 2013, Department of Sustainability, Environment, Water, Poulations and Communities, Australian Government. Herring, M (2013) Balangarra and Gooniyandi Ranger Wildlife Survey Summary Booklets. Kimberley Land Council. Herring, M (2012) Wah Wah Wildlife: from tanks to troughs. 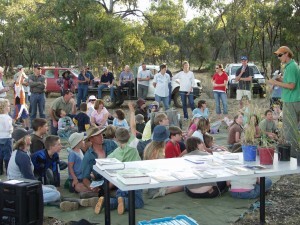 Hay Landcare, Murrumbidgee Landcare Inc. and Murray Wildlife. Herring, M (2012) Nykina-Mangala, Nyul Nyul and Wunggurr/Congarra Indigenous Ranger Wildlife Survey Summary Booklets. Kimberley Land Council. Herring, M (2011) Waterbirds of the Winton Wetlands – An identification poster to 55 species. Winton Wetlands Committee of Management and Murray Wildlife. Herring, M (2011) Ngurrara and Karajarri Indigenous Ranger Wildlife Survey Summary Booklets. Kimberley Land Council. Herring, M (2010) Improving biodiversity in farm dams: principles and case studies. Irrigation Futures Cooperative Research Centre. Herring, M. & McGregor, H. (2010) Cadell Wetlands Mapping Project Final Report. Murray Irrigation Limited and Murray Wildlife. Herring, M (2010) Bardi-Jawi, Paruku and Wunggurr Indigenous Ranger Wildlife Survey Summary Booklets. Kimberley Land Council. Herring, M. & McGregor, H (2009) Upper Murray Wildlife: results from the 2008 wildlife survey and an identification guide. Upper Murray Landcare Group, Corryong. Herring, M., McGregor, H., Webb, D. & O’Donnell. (2009) Restoration of the Jimaringle & Cockran Creek System: Wildlife & Water. Wakool Land & Water Management Plan & Murray Irrigation Limited. Herring, M. O’Donnell, D. & McGregor, H. (2008) Waterbirds of the NSW Murray Catchment. NSW Murray Catchment Management Authority & NSW Murray Wetlands Working Group, Albury. Herring, M., McGregor, H., Herring, J., Webb, D. & Knight, A. (2008) Central Riverina Wildlife NSW Murray Catchment Authority, Albury. Herring, M., McGregor, H., Herring, J., Webb, D. & Knight, A. (2008) West Corurgan Wildlife. NSW Murray Catchment Authority, Albury. Kavanagh, R. P., Stanton, M. A. & Herring, M. W. (2007) Eucalypt plantings on farms benefit woodland birds in south-eastern Australia. Austral Ecology 32: 635-650. Herring, M. (2007) Brolga Breeding Habitat: Managing Wetlands on Your Farm. Murray Catchment Management Authority, Albury. Herring, M., Titcumb, M. & Kunert, C. (2007) Wildlife in the Greta Valley. Greta Valley Landcare Group. Herring, M., Webb, D. & Pisasale, M. (2007) Murray Wildlife: Murray Land & Water Management Plan Wildlife Survey 2005-2006. Murray Wildlife and Murray Irrigation Limited. Herring, M., Webb, D. & Pisasale, M. (2006) Denimein Wildlife: Murray Land & Water Management Plan Wildlife Survey 2005-2006. Murray Wildlife and Murray Irrigation Limited. Herring, M., Webb, D. & Pisasale, M. (2006) Wakool Wildlife: Murray Land & Water Management Plan Wildlife Survey 2005-2006. Murray Wildlife and Murray Irrigation Limited. Herring, M., Webb, D. & Pisasale, M. (2006) Berriquin Wildlife: Murray Land & Water Management Plan Wildlife Survey 2005-2006. Murray Wildlife and Murray Irrigation Limited. Herring, M., Webb, D. & Pisasale, M. (2006) Cadell Wildlife: Murray Land & Water Management Plan Wildlife Survey 2005-2006. Murray Wildlife and Murray Irrigation Limited. Herring, M. (2006) Southern Riverina Reptiles: Lizards, Snakes and Turtles of the NSW Murray Catchment. Identification poster with habitat and distribution synthesis for 41 species. Murray Wildlife and Murray Irrigation Limited. Herring, M. & Watson, D. (2005) Mistletoe: Scourge or Saviour of our threatened woodlands? Woodland Wanderings 4 (2): 9-11. Herring, M. W (2005) Threatened Species and Farming: Management of Brolga breeding wetlands in northern Victoria. Arthur Rylah Institute for Environmental Research, Department of Sustainability and Environment. Rogers, D.I., Hance, I., Paton, S., Tzaros, C., Griffioen, P., Herring, M., Jaensch, R., Oring, L., Silcocks, A and Weston, M. (2005). The breeding bottleneck: Breeding habitat and population decline in the Australian Painted Snipe. In Straw, P. and Milton, D. (Eds.) In Status and Conservation of Shorebirds in the East Asian-Australasian Flyway. International Wader Studies and Wetlands International. Michael, D. R. & Herring, M. W. (2005) Habitat of the Pink-tailed Worm-lizard Aprasia parapulchella in Albury, NSW. Herpetofauna 35 (2): 103-111. Herring, M. W. (2005) Murrakool Wildlife: magnificent diversity, precarious future. Murrakool Inc., New South Wales. Herring, M. W (2004) Dancing Brolgas: Southern Brolgas are losing their step, improved wetland management aims to return them to form. Wingspan 14: 20-21. Kavanagh, R., Law, B. Lemckert, F., Stanton, M., Chidel, M., Brassil, T., Towerton, A. & Herring, M. (2004) Biodiversity in Eucalypt Plantings established to reduce salinity. Report to the Joint Venture Agroforestry Program, RIRDC/Land and Water Australia/FWPRDC/MDBC, Canberra. Herring, M. (2003) Eastern Billabong Wildlife: A Snapshot in Time. Heartlands, CSIRO, Murray-Darling Basin Commission and the Eastern Billabong Landcare groups. Nias, D. J., Alexander, P. and Herring, M. (2003) Watering private property wetlands in the Murray Valley, New South Wales. Ecological Management & Restoration. 4: 5-12. Klomp, N. , Grabham, C. & Herring, M. (2001) Fauna study of Ettamogah Forest 1994-2000 – Johnstone Centre Report No. 154. Charles Sturt University, Albury. Taylor, I. R. & Herring, M. W. (2001) Distribution and habitat of the Barking Owl Ninox connivens in southern New South Wales. New South Wales National Parks & Wildlife Service. Herring, M. W. (2000) The feasibility of a nature trail around Lagoon 5 at the Wonga Wetlands with analysis of waterbird disturbances and recommendations for impact minimisation and visitor experience enhancement. Albury City Council.